I need the aluminum collar / ring that fits inside a speed ring for a Broncolor pulso head. I’m hoping you sell them? That replacement part # is 20902000. You can get that directly from us. Do you need any replacement screws or washers? 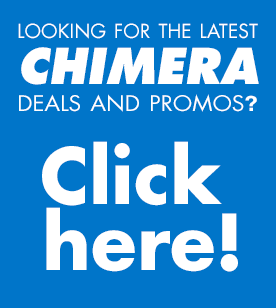 https://chimeralighting.com/wp-content/uploads/2017/08/chimera-lighting-logo-copy.png 0 0 Chimera Lighting https://chimeralighting.com/wp-content/uploads/2017/08/chimera-lighting-logo-copy.png Chimera Lighting2017-03-27 11:05:002017-07-03 13:35:46I need the aluminum collar / ring that fits inside a speed ring for a Broncolor pulso head. I’m hoping you sell them? We purchased a Chimera Speed Ring and it broke during normal studio use. Is... Do you make a soft box for an Arri M18 HMI?